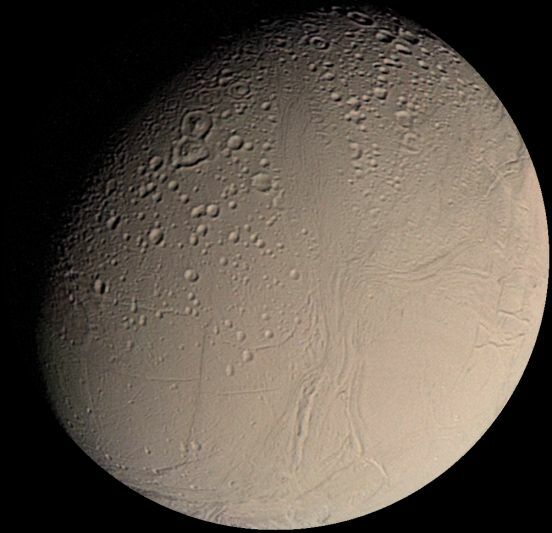 Explanation: A small inner moon of Saturn, Enceladus is only about 500 kilometers in diameter. But the cold, distant world does reflect over 90 percent of the sunlight it receives, giving its surface about the same reflectivity as new-fallen snow. 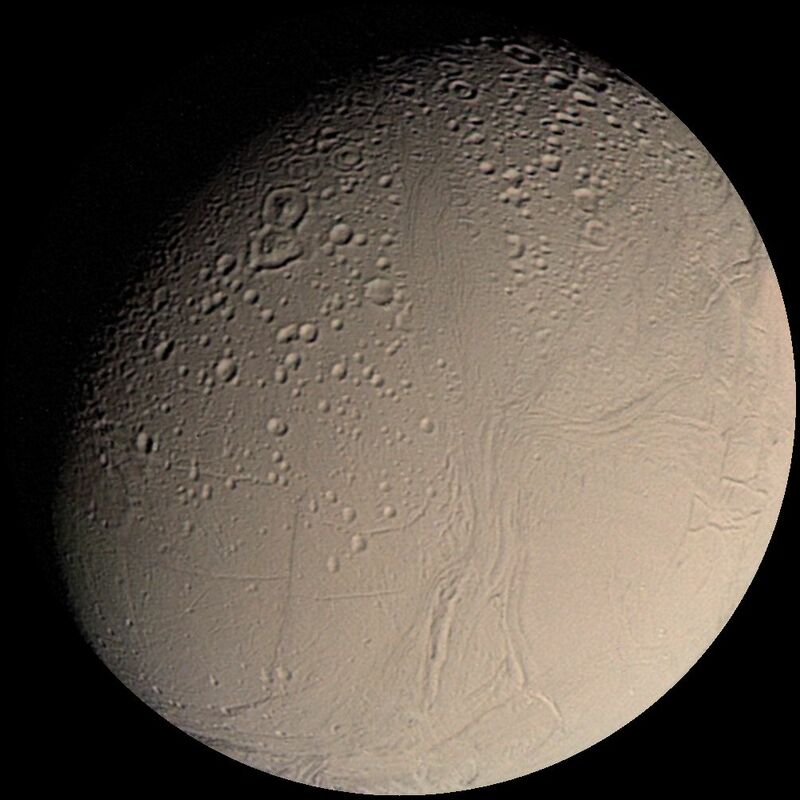 Seen here in a mosaic of Voyager 2 images from 1981, Enceladus shows a variety of surface features and very few impact craters - indicating that it is an active world even though this ice moon should have completely cooled off long ago. In fact the fresh, resurfaced appearance of Enceladus suggests that an internal mechanism, perhaps driven by tidal pumping, generates heat and supplies liquid water to geysers or water volcanos. Since Enceladus orbits within the tenuous outer E ring of Saturn, the moon's surface may be kept snow-bright as it is continuously bombarded with icy ring particles. Eruptions on Enceladus itself would in turn supply material to the E ring. Interplanetary ski bums take note: tiny Enceladus has only about one hundredth the surface gravity of planet Earth.